Listen to the station here! Hello there! 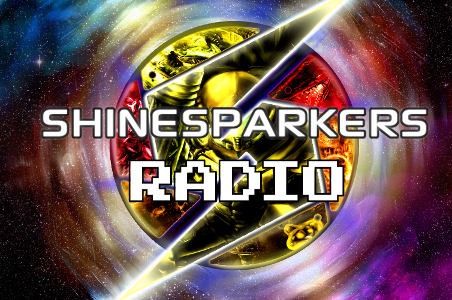 My name is Darren and I'm bringing a brand new station and show to Radio Nintendo called Shinesparkers Radio! This is the first dedicated Metroid radio station created to mark the 30th anniversary of the Metroid franchise. You will be able to hear music from thirty years of Metroid, including remixes and arrangements from albums such as Harmony of a Hunter and Metroid Metal. Over time, we plan to build on our music library and add even more music for your enjoyment. We also plan to host a series of live shows, so I hope you'll tune in for those too! Check out more information here and follow us on Twitter for the latest updates! Last edited 11:09 AM (UTC) on Feb 10, 2016 by Bacon. We're currently testing a third station with Radio Nintendo. After our recent feedback survey we saw that the SNES was the favourite console of a lot of our listeners, so for the next week we'll be testing the RN: SNES stream. If people listen to it and our server handles the load well (which is looking good so far!) we can add more themed stations! The main Radio Nintendo station still plays music from all consoles and that will never change. We'll also look into those bugs! - Can the main page has a feature where you can select which station to play? Since at the right corner only the default radio can be selected. - The chat in the pop-out player has a bug, where the last said thing hides beneath the input field. Just a question: RN & RN: SNES -> Does this mean that the main channel will no longer play SNES ? I added the ability to change the station (click on the slider, if only the default station is showing, refresh your page) and fixed the alignment issue with the player chat.